If you happened to come to the Colorado Unified Communications User Group on October 24, 2013, you heard me present on Better Together over Ethernet (slide deck). 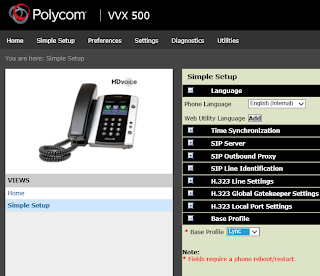 In the slide deck, I covered how to configure a Polycom VVX phone on version 5.0.X to work with Microsoft Lync and subsequently Better Together over Ethernet. Part of the new functionality with 5.0.X is the ability to use Lync Server Device Update process instead of using the Polycom Update process. According to Page 23 of the 5.0.1 Release Notes, when you change the base profile to Lync, the Lync Device Update is supposed to be enabled by default. device.prov.lyncDevice UpdateEnabled 0 or 1 0 or 1 To enable/disable the Lync device update feature. If base profile is Generic, the default value is 0. If base profile is Lync, the default value is 1. But when you use the Web UI the above parameter in the device config does not get set properly (stays equal to 0). 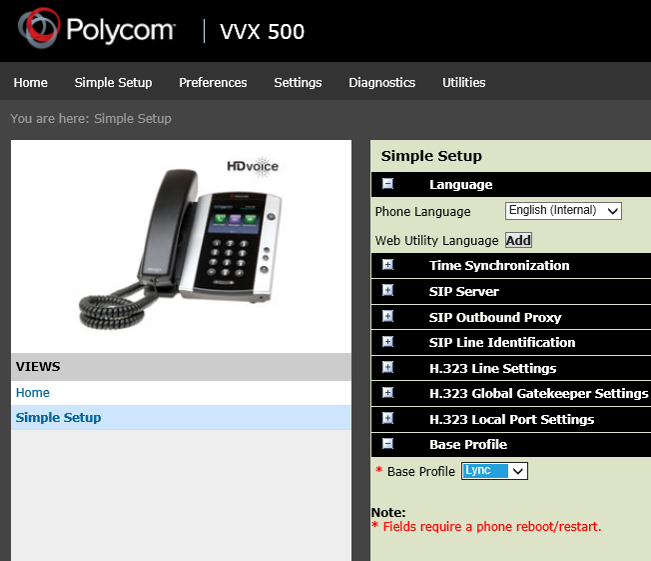 So if you are having problems getting your Polycom VVX to update properly, you might take a look at the device config and see how the above parameter is set. Instead of just changing this parameter, I've chosen to Factory Default my phone and change the Base Profile to Lync using the phone interface. Just a little bit more comfort in case there are other parameters not being set properly. The next meeting of the Colorado Unified Communications User Group (COUCUG) will be held on October 24th from 4-6pm at the Microsoft offices in Denver, Colorado. We are going to talk with Ryan Herbst from UnifiedCommunications.com about the new Lync Room Systems. In addition, I will be presenting on Better Together over Ethernet. UnifiedCommunications.com will be sponsoring the meeting and providing food and beverages. 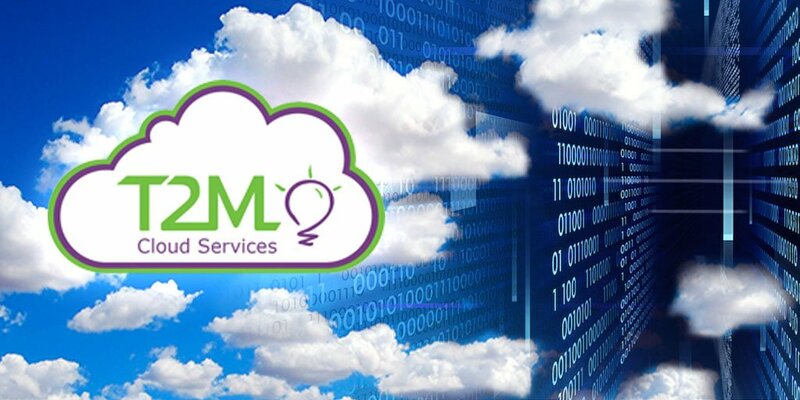 Please feel free to check out their website and why they are one of the most popular choices for video solutions and audio devices for Microsoft Lync! Microsoft has released updates to the Lync 2013 Mobile clients for Windows Phone and iOS. No Android update appears to be available. If you know different please post to the comments below. Okay... ready... set... Start your updates!! !